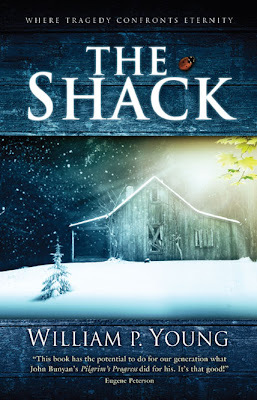 I am reading a book right now called, The Shack. I'll try not to share too much with you in case you read it yourself but it is really opening my eyes to a new way of thinking about pain and suffering in this world. The main character, Mackenzie, has suffered a tragedy involving his daughter and the book is about his questions and an encounter with God. He refers to his pain as "The Great Sadness"and this is how he describes it: "The Great Sadness had draped itself around Mack's shoulders like some invisible but almost tangibly heavy quilt. The weight of its presence dulled his eyes and stooped his shoulders. Even his efforts to shake it off were exhausting, as if his arms were sewn into its bleak folds of despair and he had somehow become part of it. He ate, worked, loved, dreamed, and played as if he were wearing a leaden bathrobe- trudging daily through the murky despondency that sucked the color out of everything." Reading that description made me cry because that is how I have felt for so much of my adult life. I know I talk about Emma's death so much here but it goes much deeper than that. I made some bad choices early on that brought pain, but I understood that because I knew why I was suffering. I got myself back on track and married Dean and I believed I had redeemed myself and now life was going to get better, easier even. I was following God so why wouldn't He protect me from suffering? I had no idea the pain I would face just because we were following God. The suffering we faced at the hands of church people was more than our fair share I believed. And when Emma was born I came to know The Great Sadness. I felt as if God had abandoned me and I felt so angry and confused. Don't think I didn't love her. I loved her with my whole being but I was so hurt that God would not heal her. I knew He could, but He didn't. 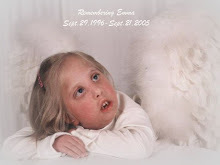 And it wasn't just her illness but also the loss of my dream to have more children. And then I adjusted to my life and He chose to take her. Why? I am not foolish enough to think that I am the only one to suffer. So many of you deal with your own disappointments, broken hearts, lost dreams, unmet expectations, losses. Why does God seem to allow some of us to be such close companions with pain? In the book, Mack has an encounter with God that is unusual but powerful. When he finally gets to question God about his suffering God gives him this answer: "You really don't understand yet. You try to make sense of the world in which you live based on a very small and incomplete picture of reality. It is like looking at a parade through the tiny knothole of hurt, pain, self-centeredness, and power, and believing you are on your own and insignificant. All of these contain powerful lies. You see pain and death as ultimate evils and God as the ultimate betrayer, or perhaps, at best, as fundamentally untrustworthy. You dictate the terms and judge my actions and find me guilty. The real underlying flaw in your life is that you don't think that I am good. If you knew I was good and that everything- the means, the ends, and all the processes of individual lives- is all covered by my goodness, then while you might not always understand what I am doing, you would trust me. But you don't." This really hit home for me because I believe that it is finally where I am at in my life. I have worn the heavy cloak of The Great Sadness for so long, but I am finally realizing that this life is such a small part of who I am, of who God is. I know that God is good. I believe that with my whole heart. And if He is good, then I trust Him. I trust Him with my life. Even when it doesn't make sense to my human mind, I trust in His goodness.